Horst Rudolf Windhagauer was born in 1955 at Gmunden/Austria and grew up in Nuremberg, a city in nothern Bavaria. Since 1998 he lives with his family in Bamberg. He studied Violoncello, piano and composition in Nuremberg and Wuerzburg with Claus Reichardt and Prof. Julius Berger. He was a member of several ensembles for chamber music, so the „Trio elegiáque“, the „Arpa Trio“ and the „Cello quartet of Nuremberg“. Since 1998 he was the leader of the cellist group at the „Chamber orchestra of Bamberg“. In 2016 he created the „Quartetto cellistico Bamberg“. For this ensemble he wrote and adapted a number of pieces. 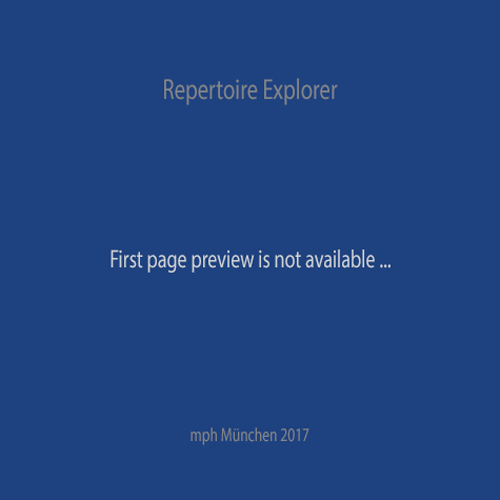 Several works for chambermusic he wrote during the years of 2012 until 2017 for the international wellknown ensemble the „Giocoso Quartett“. Since 1988 he his a teacher for cello at the Highschool for music in Erlangen. As a student for composition with Gottfried Muller, who was an expert for the music of Bach, he developed as a composer – during many years – a very personal style of music, which lies between his baroque idols, a moderate modern style and the late Richard Strauss. None of my works has seen so many changes like “Mem´ries of Erin”. Its first (immature) stages were composed during my studies in the 1970s and since then many ideas had been discarded and changed all over again: even the instrumentation and the work’s title have undergone numerous changes. At last the three-movement work “Mem’ries of Erin” emerging from the initial Fantasy for 12 Cellos was completed and premiered by the Bamberg chamber orchestra in the new residence Bamberg in 2002. I myself was part of the orchestra during the premiere which helped me get an additional inside impression of an orchestral musician. This might have led to further adjustments within the following 2 years until in 2004 it finally obtained the version I was pleased with. The train station of Limerick can be seen as a symbol for a crossroad: one has to decide on which of both ways to take. 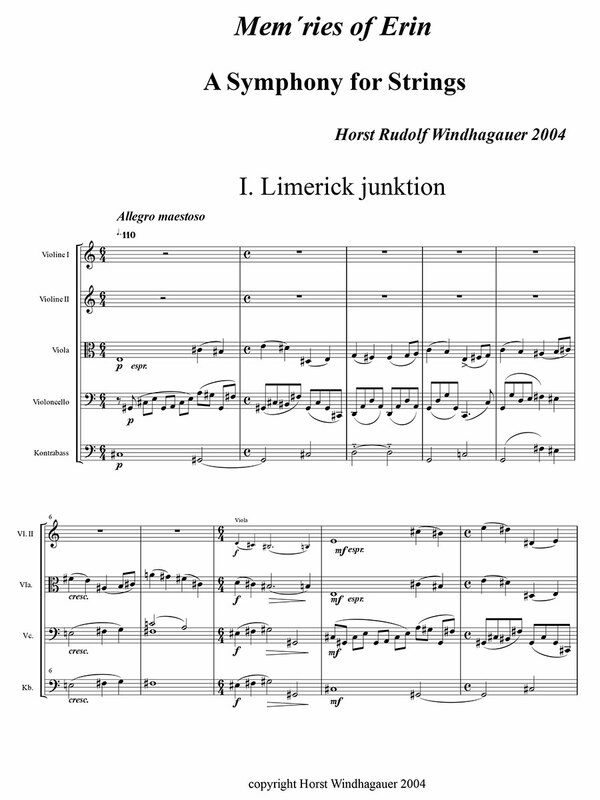 The musical narrative describes the journey through Ireland from Dublin to Limerick. What an enchanting landscape! The Phyrgian main theme reflects the charm of this landscape and one might get the impression to hear the deep situated surf. Doolin is a splendid little town on the west coast of Ireland: there is probably not a single famous musician who has not performed in one of the few local pubs. The initial rhythm changes stagger cheerfully and a bit tipsy. For performance materials please contact Musikproduktion Höflich, Munich.